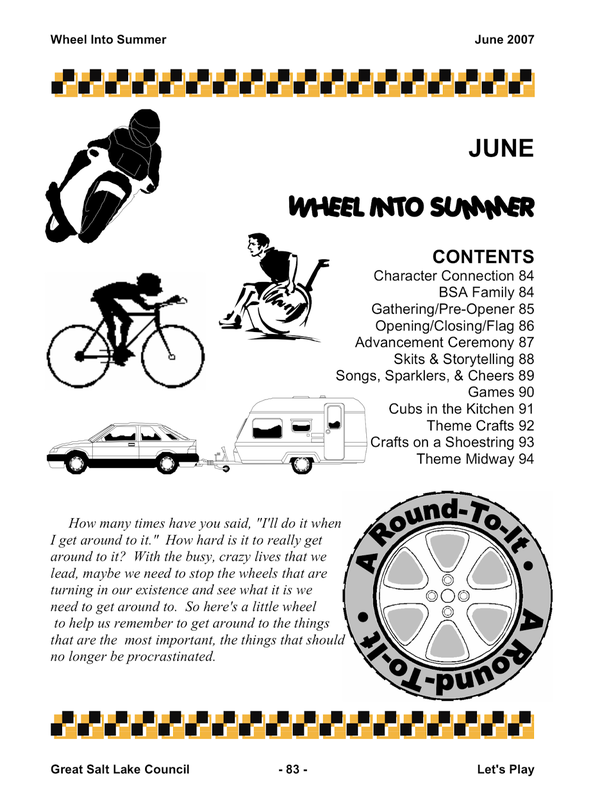 Wheel Into Summer was the official Cub Scout theme in June 2007. The following information is from the 2006-07 Great Salt Lake Utah Council PowWow book. This is a great theme, and many of the ideas that were used back then can still be used today. Let's Have a Wheely Good Time!